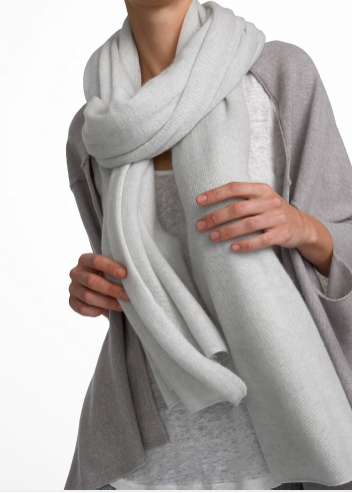 I am so looking forward to the fall weather and all that it means for my closet: cozy sweaters, leggings, and scarves. Here are a few pick-me-ups that I’ve added to my wardrobe over the last month. 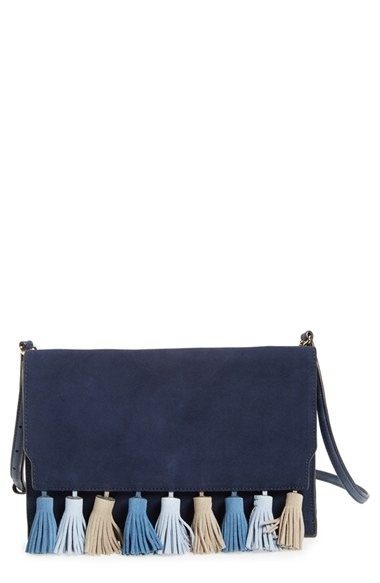 Clutch: love the navy, love the tassels, love it all. Find it HERE. Tanks: Thanks to one of my best friends, this tank is in major rotation in my closet. Classic cut, long, and looks good with or without a 30 week pregnant belly. Find it HERE. 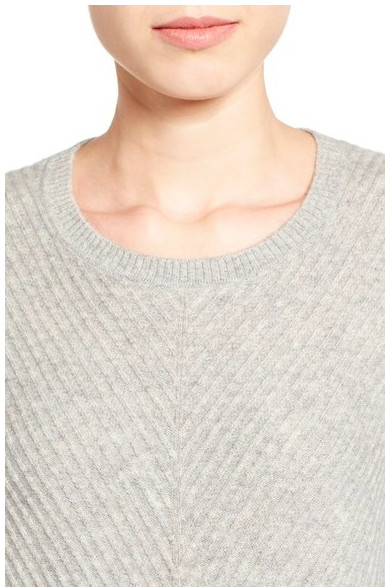 Cashmere sweater. 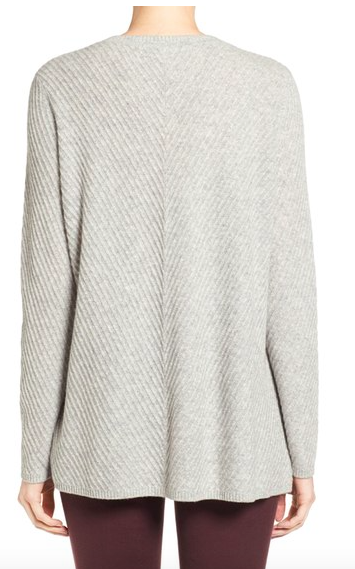 This sweater is amazingly comfortable and is the #1 thing in my closet that I am looking forward to pulling out when the temps get a little chillier. 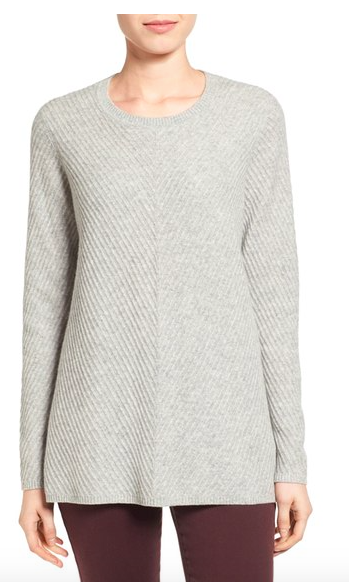 The a-line fit is flattering on all body types and the chevron gives a twist to the classic sweater 🙂 Find it HERE. Travel wrap. I know I have talked your ears off about these travel wraps but they are worth every single cent you pay for them. 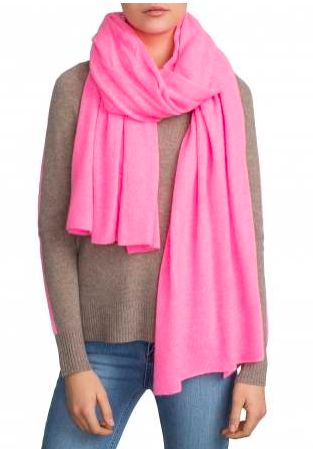 Using it on a flight, in the car, to keep warm at the office or just to cuddle up on the couch – it is my absolute go-to for the fall and winter months. They have a WIDE variety of colors and you can find them HERE. Socks. Ugg socks ar a recent discovery of mine and I have to say that I JUST purchased these as a treat to my feet throughout the fall and winter. 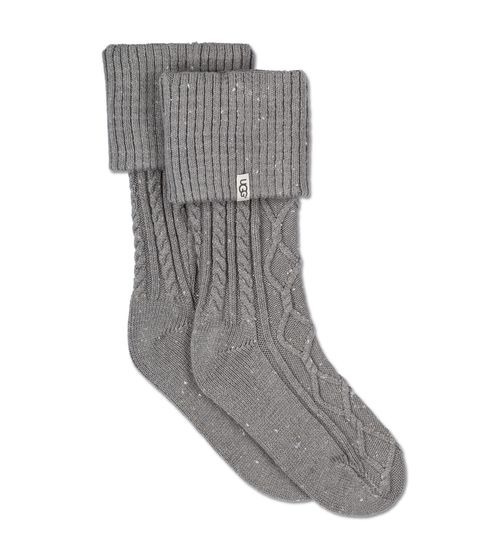 I love wearing comfy socks around the house (esp with all of our hardwood floors) so I can’t wait to pull these out. Also – a great gift idea. Find them HERE. Necklace. 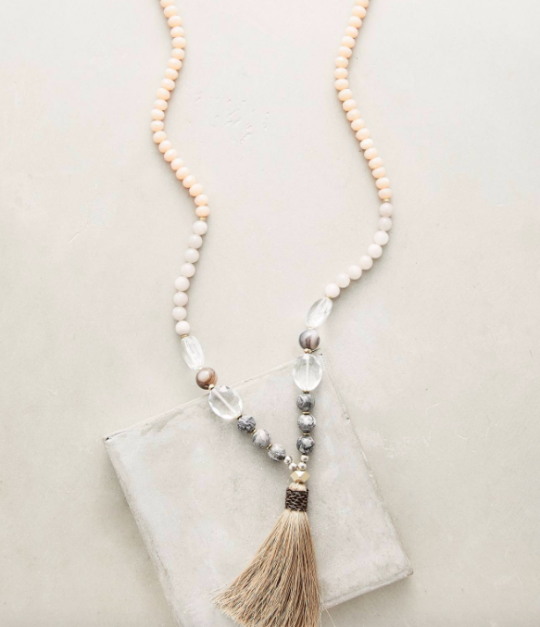 Tassel necklaces are my favorite and I plan on incorporating a lot of them into my Fall wardrobe. Find the one below HERE. 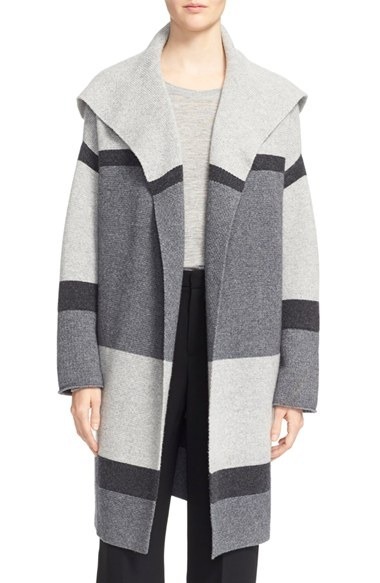 Sweater coat: One of the best things I have bought for the fall and winter is this sweater coat. It.is.amazing and I feel like I’m going to get a lot of use out of it (if Jordan is reading this he’s probably thinking “YOU BETTER”.) 🙂 Find it HERE. Leggings. 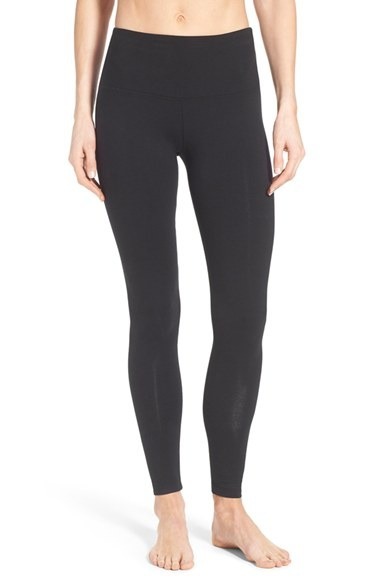 These control top leggings will definitely be in major rotation come Fall (post baby obviously). They are thick – like lulu lemon – but without the $100 price point. Find them HERE.